Have a look at our new store! 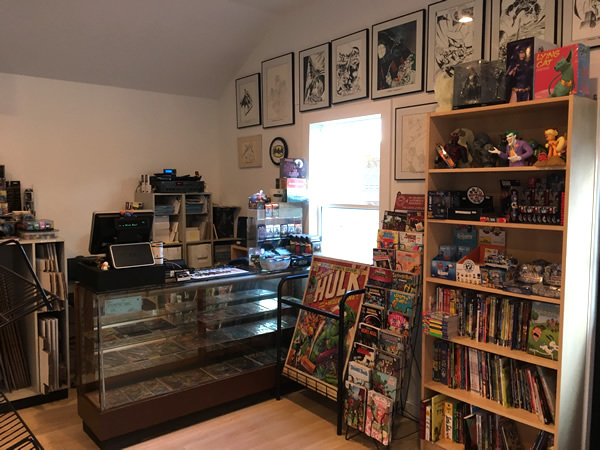 Cave Comics opened on May 15th 1989. We are always striving to be a helpful, informative and fun store that welcomes everyone. 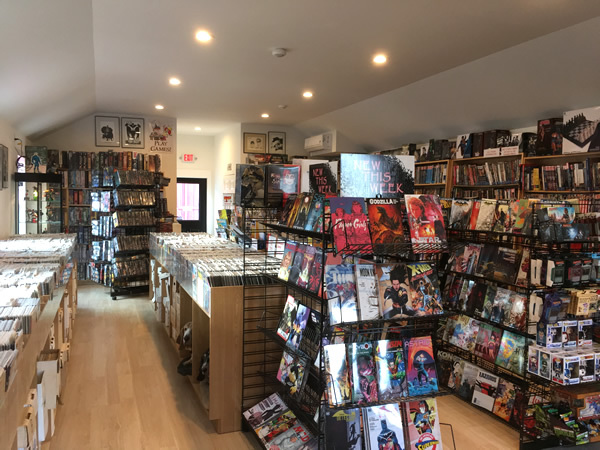 Whether its your first comic or the next of many, we’re here to make it a great experience. 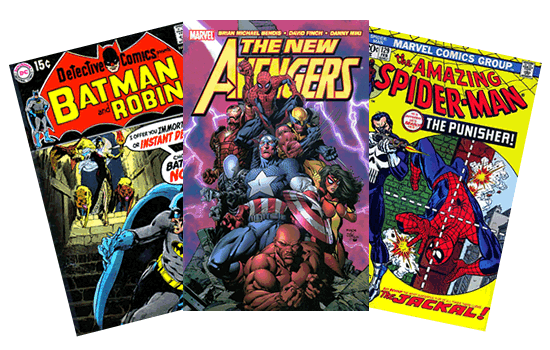 We have a large selection of back issues comics, approximately 20,000 issues, from the Silver Age to Current titles. We also offer $1 bins and $5 10 packs of back issues. We also have a great selection of Graphic Novels and trade paperbacks. 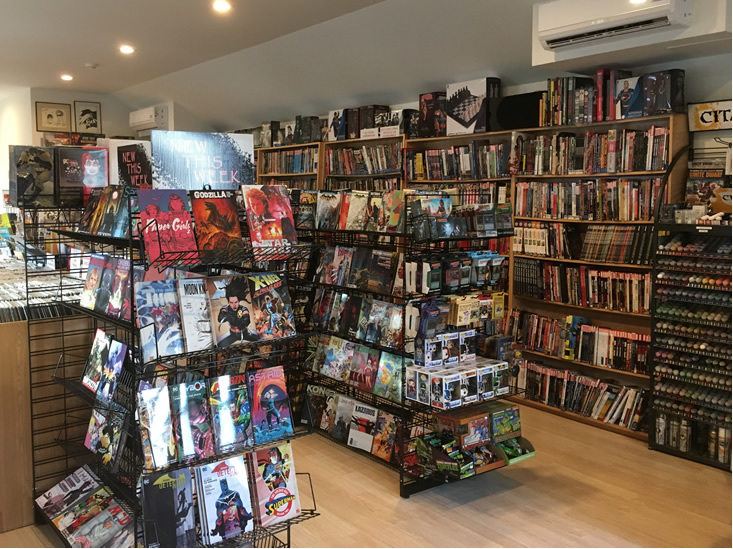 We stock more than 3000 books from DC, Marvel, Dark Horse, Image, IDW, Boom and other publishers. We carry games too! Miniature games by Games Workshop. Role-playing games Dungeons & Dragons, Star Wars, Pathfinder & Call of Cthulhu. 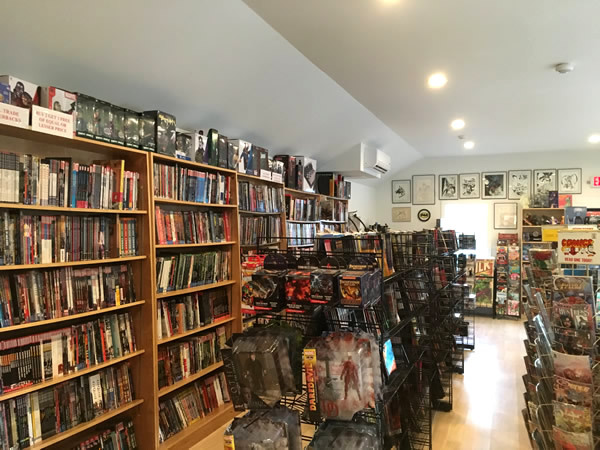 Board games such as Settlers of Catan, Arkham Horror, Axis & Allies, Carcassonne, Agricola, Ticket to Ride and others by Z-Man games, Fantasy Flight and Days of Wonder. Magic the Gathering, Munchkin, Fluxx, Apples to Apples are some of the other games we stock. We host Official Sanctioned Friday Night Magic tournaments and Magic release tournaments. We also carry Funko Pops, statues and posters.